The 2018 Easter weekend brought a continuation of wintry weather to mainland Scotland, but its islands to the NW were forecast mostly fair, if windy weather. 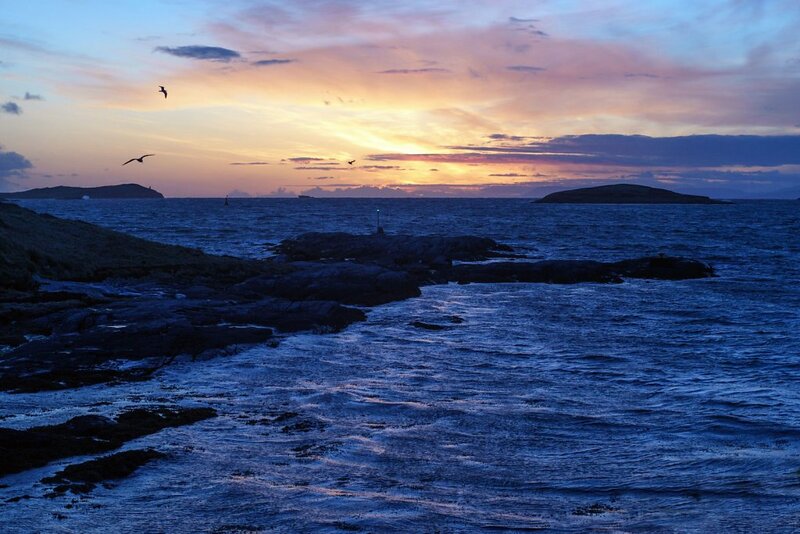 Our group of four agreed that a trip to the Uists would make the best of opportunities for outdoors activities and afford us all the chance to see new places and overnight in new locations. Our crossing from Uig to Lochmaddy left relatively punctually but the NE wind in the bay was blowing 30 knots and made safe berthing difficult for the smaller CalMac replacement ferry. Like a flight waiting for a landing window, we held off the North Uist coast for a couple of hours until conditions eased. Seen from the west, from left to right (north to south), the peaks of Hecla, Beinn Corradail and Beinn Mhor which we'll cross on our walk in and out of Uisinis over the next 24 hours. An unexpected warning. 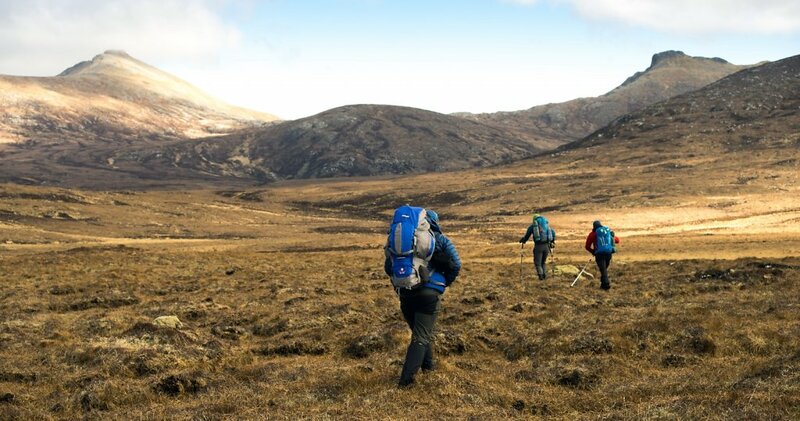 At this point, the group walked back to the hire car to collect tents 'just in case'. As it turned out, the warning of rats and an unsafe stove were somewhat alarmist. 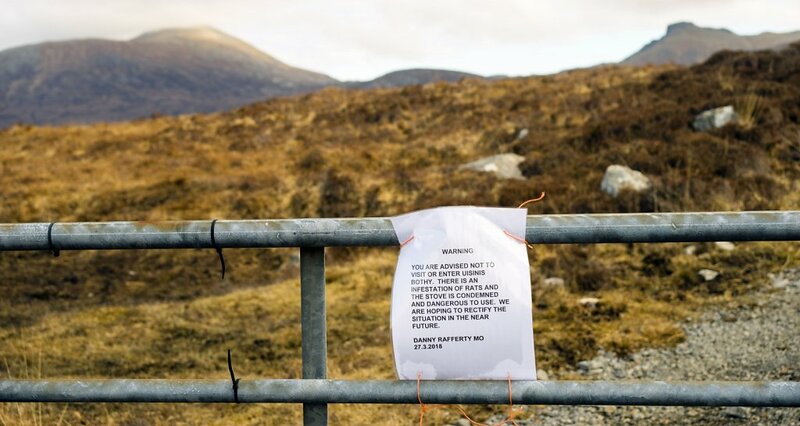 There was no sign of the former, and the Dowling stove burned clean and hot. 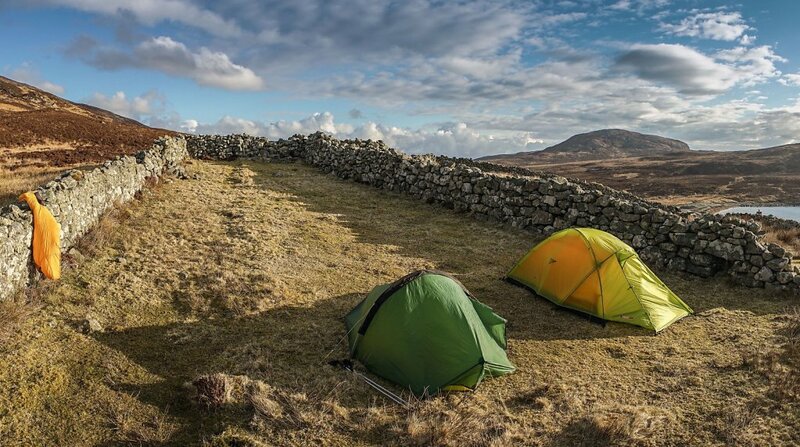 The weather was fair, and despite no evidence of rats, two of the group decided to camp anyway. Could their decision have been related to my snoring ... who knows ? As the sea eagle flies (and we saw many of them on our journey), just 4 miles from the nearest road, but Huisinis takes hours to reach by foot from any direction. 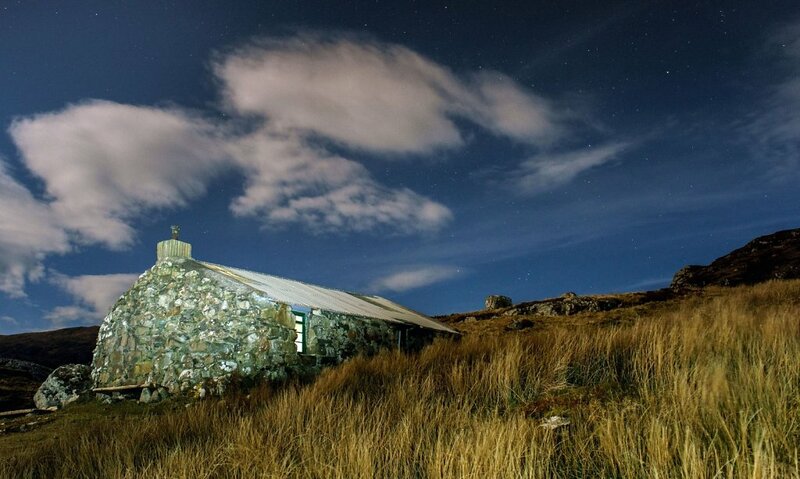 Remote and atmospheric, a real privilege to spend time here and use the bothy's basic but welcome facilities. A full moon sat in a largely clear sky illuminated the bay and a long exposure ghosted the waves of the turning tide. 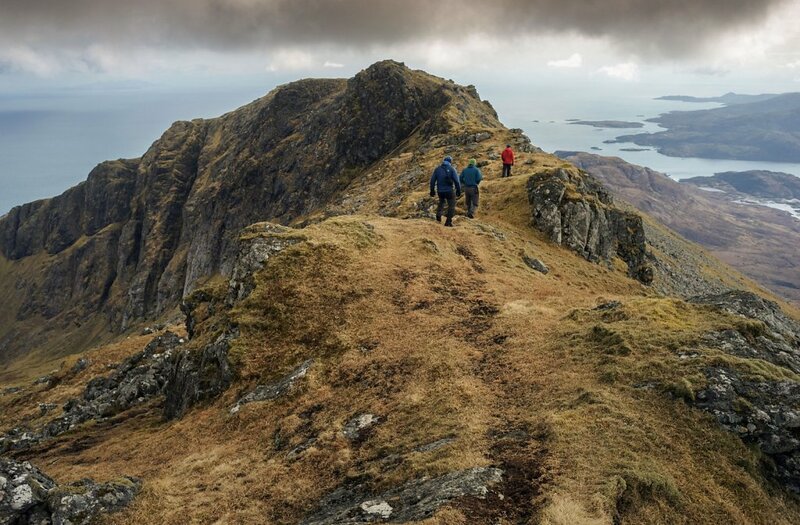 The summit is just 620 metres ASL but as an island mountain's feet are at sea level, it feels every bit as big as many loftier peaks elsewhere in Scotland. 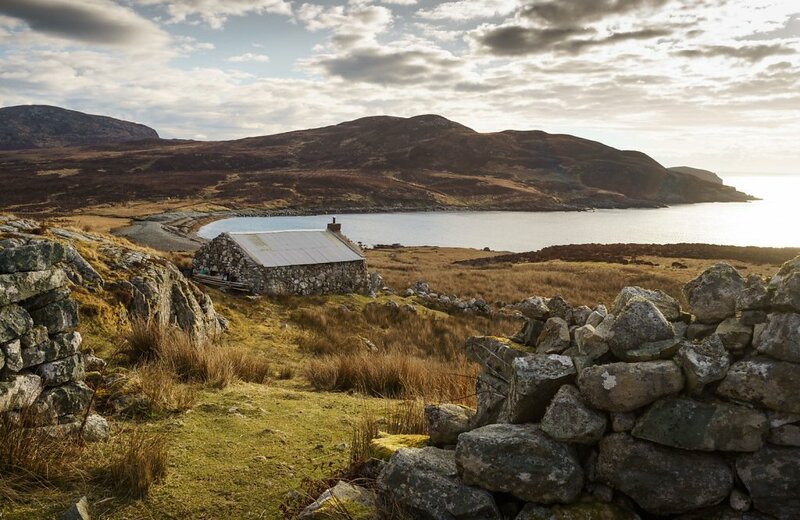 Incredible vistas greet the eye on every part of the Hebrides, none more so than from the high ground where the horizon is all about land meeting the sea. On South Uist, one of the Gatliff Trust hostels was the setting for our second night's stay on the islands. 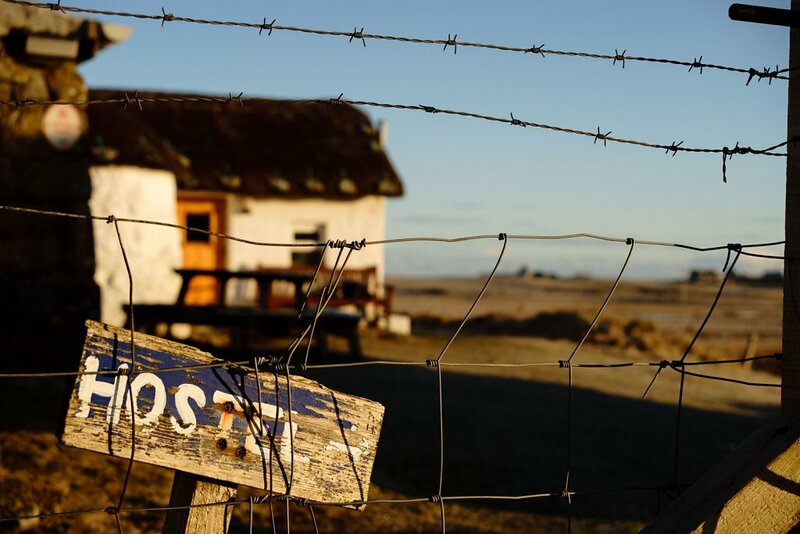 Situated close to the machair, this well-equipped hostel offers plenty of bunks for travellers and great camping ground nearby for those who prefer to stay closer to the elements. 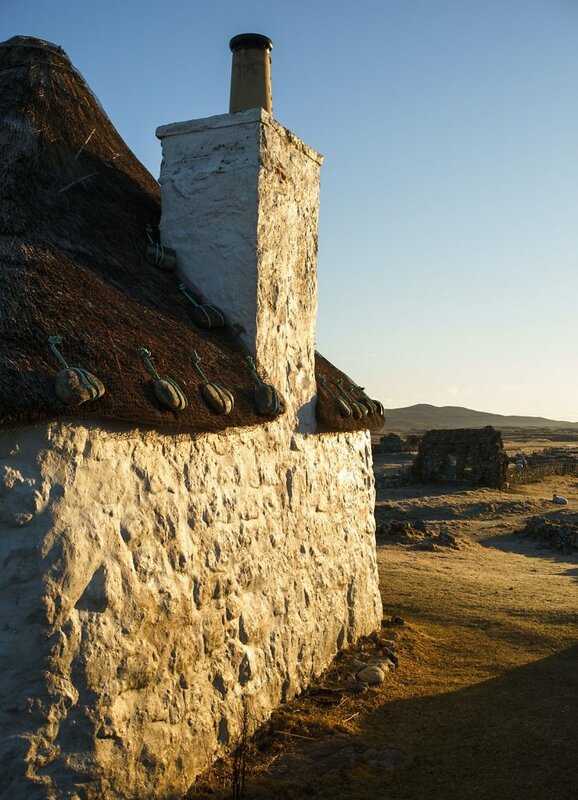 The simple arrangement of stone-weighted tethers is common to island dwellings, securing the insulating thatch against the wind. 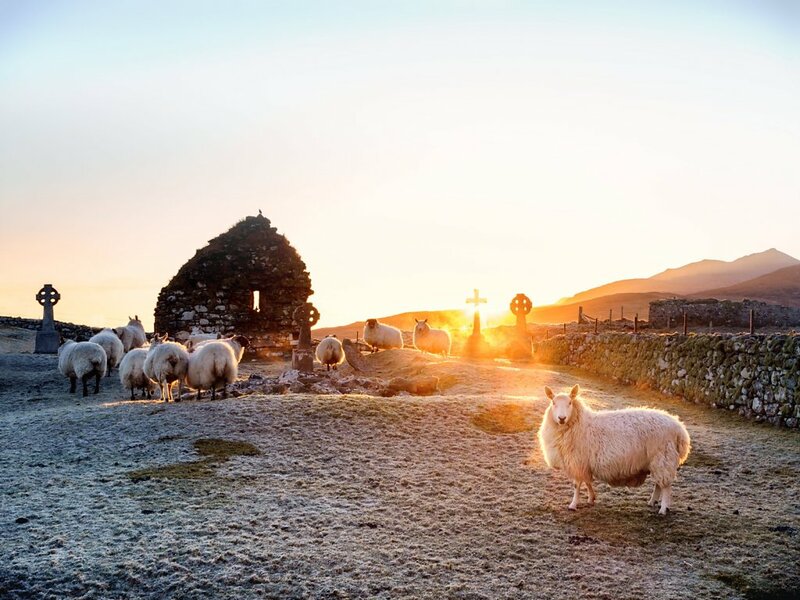 Sheep graze amongst a mix of modern and celtic memorials in this old graveyard at Howmore, while the early sun peeks over the eastern horizon. The silhouette of these buildings brought to mind a Gothic view, far away from the cities where they'd actually be seen. I'm going to add this landscape to my prints on watercolour paper. 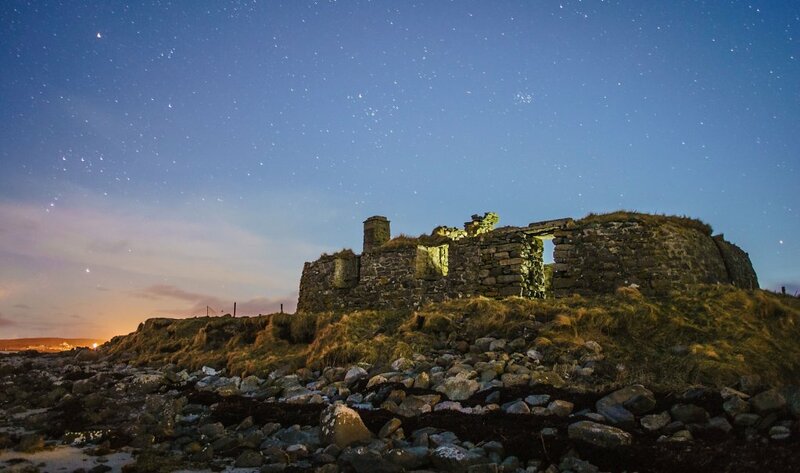 The long dawn light in this picture, the collection of ruins and its atmosphere is quintessentially Hebridean. 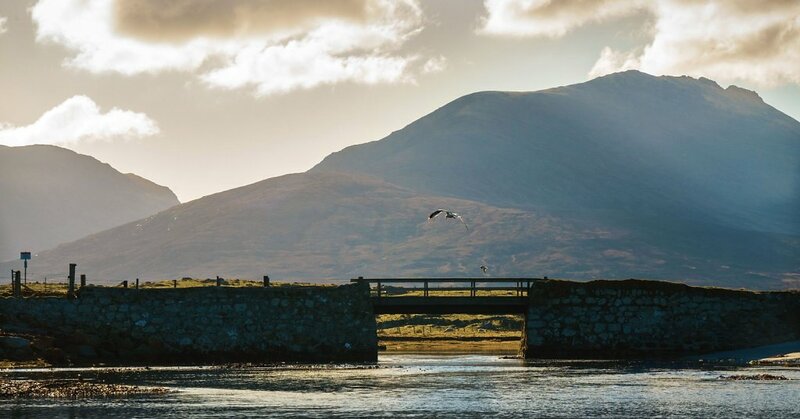 A myriad of inlets feed brackish lochs that run inland from the dunes all over the Hebrides and make for rich feeding grounds for birds and other wildlife. The machair isn't just a rich pasture for wildlife, but for grazing livestock too. On North Uist, the last of the land to the west before Newfoundland are the outer islands of St Kilda and Boreray. 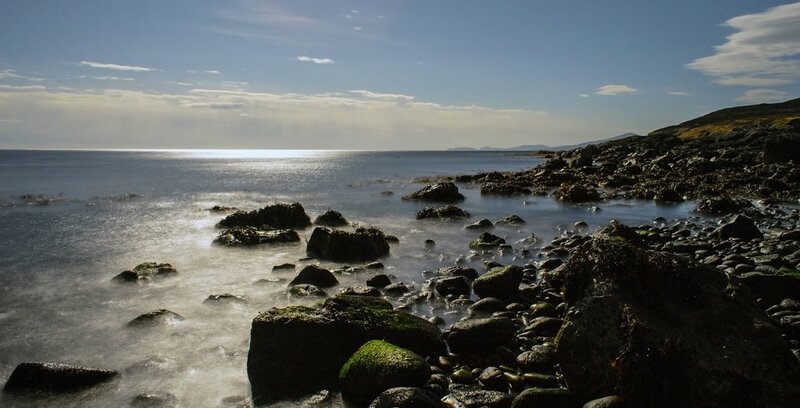 In the village of Borgh on Berneray is an inlet by its harbour known simply as seal bay. 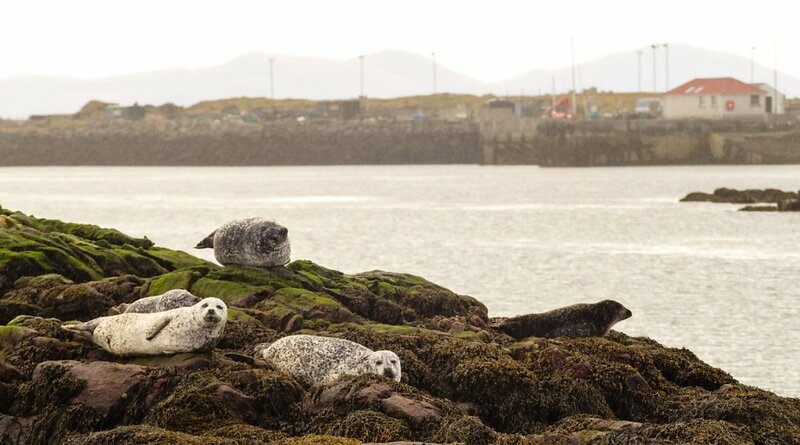 The eponymous visitors posed nicely for me on some rocks, enjoying the fresh water falling from the sky ! 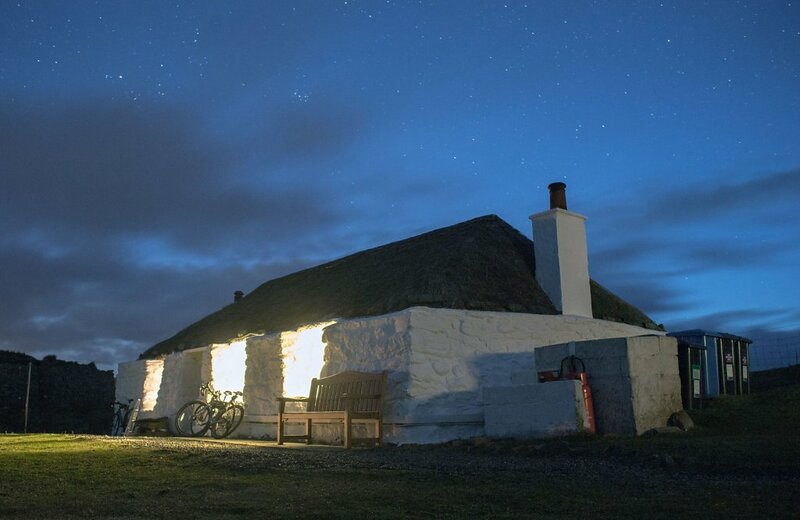 The Gatliff Trust hostel at Baile on Berneray is situated immediately adjacent to the sea and looks as welcoming by night as by day. 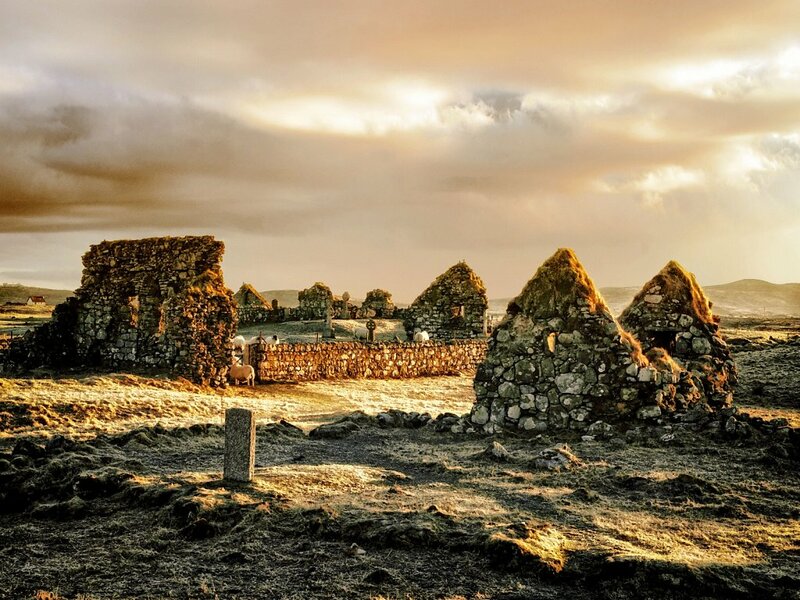 Close to the hostel are various ruins, both ancient and relatively modern. The lights to the south are from the village and harbour at Borgh. Weather conditions dictated an early start from Lochmaddy with the ferry scheduled to leave at 5 am. In the event it was delayed by a further 2 hours which afforded the opportunity to catch another sunrise. 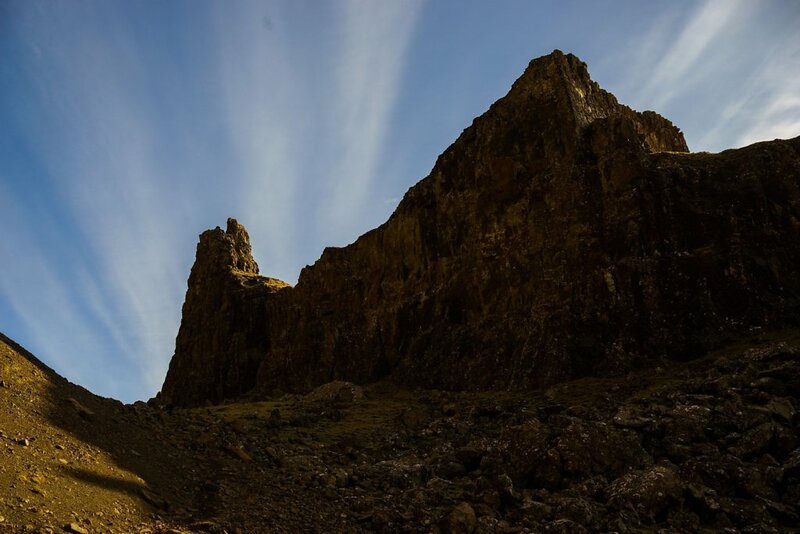 On the return home, our earlier start meant we had time for a quick walk up to Skye's Quiraing to round off an awesome weekend on the islands. The curiously named 'Prison' is one of many mountain outcrops, and appears to my eye closer in form to a fort than to a detainee encampment.